We also recycle washers, dryers, printers, VCRs, and other miscellaneous electronics for a small fee. Contact Us for pricing on any other items. The amount of electronics finding its way into landfills is shocking. 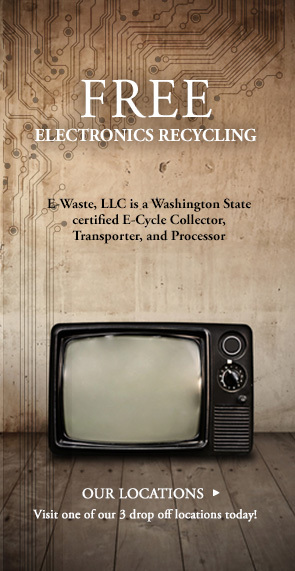 The US EPA estimated that in 2009, over 82% of end-of-life electronics went to landfills and incinerators. Mercury, lead, cadmium, and other hazardous and toxic materials can be found in Electronic Waste. We take pride in responsibly recycling 99% of all electronics we process in our facilities. To express our gratitude towards Mother Earth and all that she’s provided, E-Waste, LLC’s main goal is to make a positive impact on the environment one step at a time.